Click on the name for a photo of the bird. And you might want to bookmark the site: All About Birds, from the Cornell Lab of Ornithology. Everything you've ever wanted to know about birds and more! 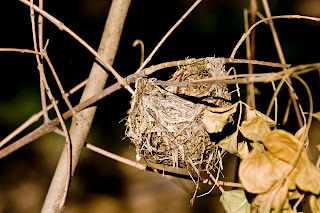 Bell's Vireo nest description from the site above: Open bag-like or basket-like cup of grass, straw-like stems, plant fibers, small skeletonized leaves, paper, and strips of bark fastened with spider silk; lined almost invariably with fine, brown or yellow grass stems. Outside decorated with spider egg cases. Suspended from forks of low branches of small trees or shrubs. 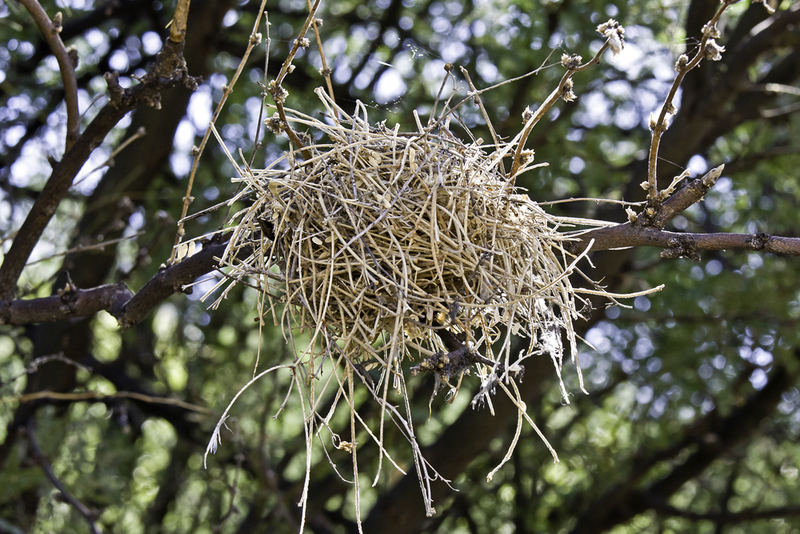 If you are fortunate enough to run into Mark Hengesbaugh in the canyon, ask to see the bird app on his i-phone. Very cool. Cactus wren in French - Troglodyte des cactus - not so much. 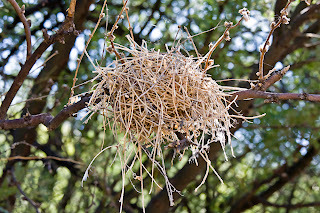 Cool Fact: The Verdin builds nests for both breeding and roosting; roosting nests are much smaller. 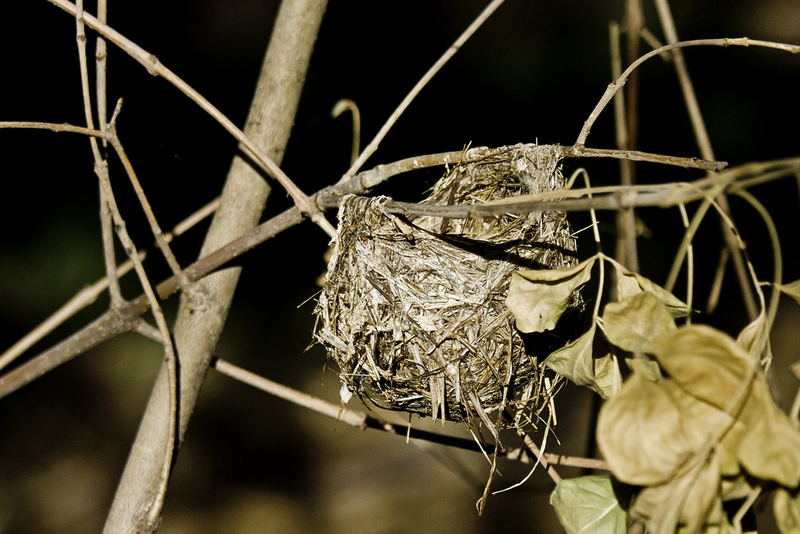 The outer stick shell is constructed mostly by the male, while the female does most of the lining. And, according to the 'Canyon Grape Vine', Ned Harris is doing great after surgery. Remember, you read it here first!